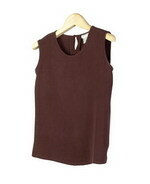 Scoop Neck, Bateau Neck, Square Neck, Open Neck, U-Neck, Johnny Collar, etc. 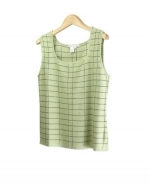 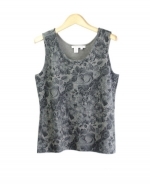 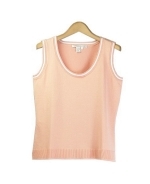 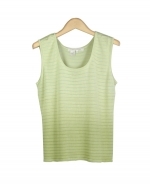 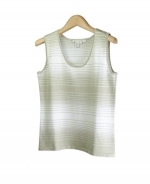 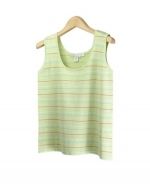 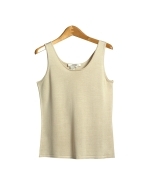 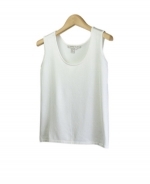 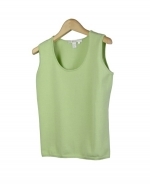 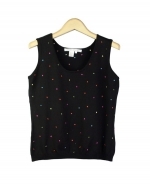 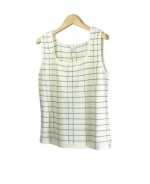 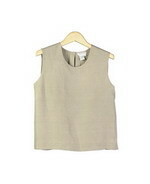 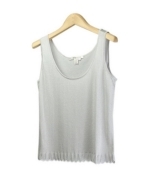 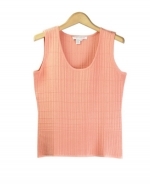 Womens' 100% Spun Silk Washable Sleeveless Shell. 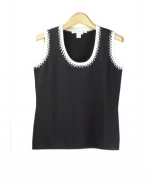 Matches This Group's Jackets, Pants, & Skirts. 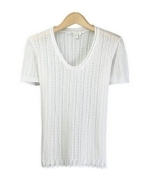 Our scoop neck, bateau neck, open neck, square neck, U-neck, and johnny collar sweaters are available in cable patterns & jacquard designs. 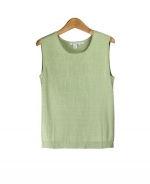 We have short sleeve, long sleeve, 3/4 sleeve cardigan and pullover tops. 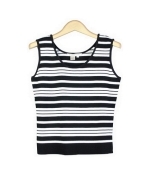 Sizes offered range from XS(4) to women's plus size 1X (16W-18W).